The Stan Kenton Mellophonium Orchestra was musically revolutionary during its three-year existence. Brilliantly executed from 1960-1963, and including the Grammy-winning Kenton’s West Side Story among its output, it nonetheless couldn’t be financially sustained. Today the music is 50 years old but the sound remains bold, brassy, bombastic and alive. The Mellophonium is a three-valve instrument with a tone similar to a French horn with the bell facing forward. A Mellophonium band sounds brassier because its tone is colored by the M-horns in the range between the trumpets and the trombones. The four-horn Mellophonium section doesn’t replace, it augments and colors. Joel Kaye played in the saxophone section of the Kenton Mellophonium Orchestra. Now, five decades later, he is directing the vintage arrangements and writing new charts for a Mellophonium orchestra. For many listeners, some hearing it for the first time, the sound remains contemporary. Kaye believes it is important music and important musical history. 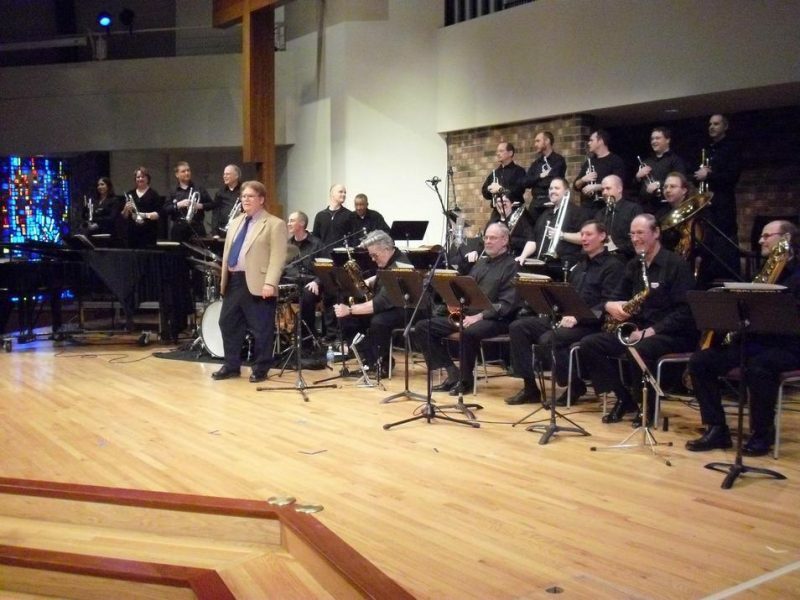 Kaye’s ongoing laboratory for exploring big band jazz is the Madison, Wisc., Mellophonium Jazz Orchestra. Kaye says he does it because “of the impact. 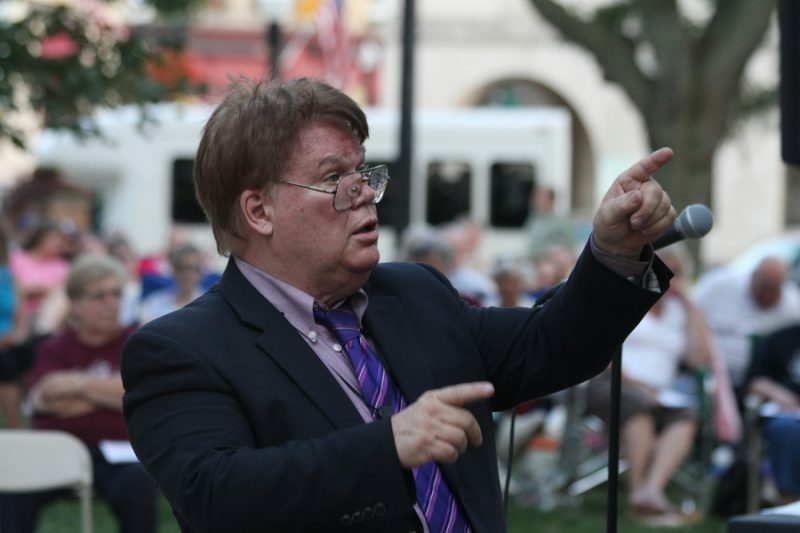 It’s a sound a lot of people have never heard.” Kaye, who is 72 and “retired” in Tampa, has led the Wisconsin-based band in 17 appearances since it made its debut in 2010. His love affair with the Mellophonium sound includes seven years leading a Denver band. Kaye’s early career reads like a who’s who of the era’s bands. Billy May provided professionalism. Ralph Marterie brought wisdom from older players. Kaye played with both Dorsey bands after the brothers had died. From Woody Herman came “a dream come true. I remember playing ‘Early Autumn for the first time. I had tears of joy running down my cheeks,” says Kaye today. And then came Kenton. 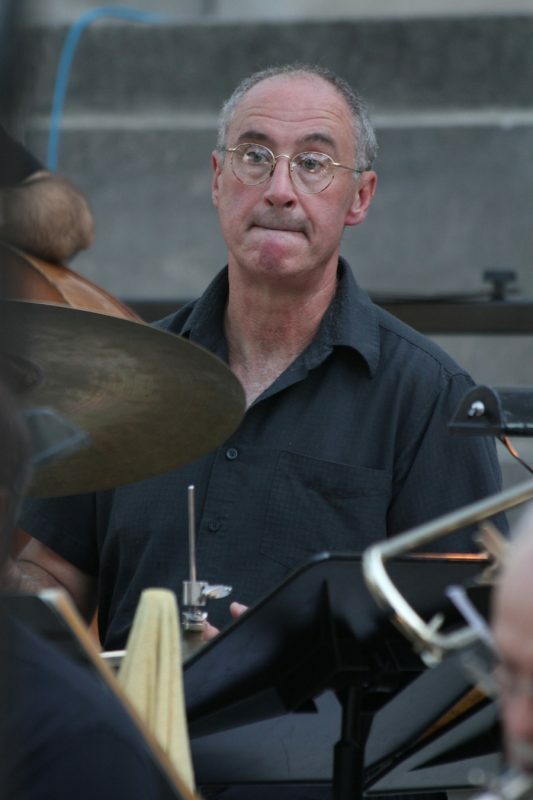 The idea of reviving some of the most revered Kenton music originated with Rand Moore, a prominent Madison drummer, teacher and leader. Moore wanted a band to play charts written by famed arranger Johnny Richards. It was a daunting task. The music is challenging. The arrangements are complex. Richards had done West Side Story and numerous other Mellophonium projects for Kenton and his own band. Kaye had studied under Johnny Richards. Kaye and Moore met and make an exciting musical match. What makes this music so different? Joel Kaye says the Mellophonium section adds a rich musical “color” with a “different texture.” Kenton’s Mellophonium band typically had five trumpets, three trombones, a bass trombone and another bass trombone that doubled on tuba. An alto sax was joined by two tenors, a baritone and a bari/bass sax player. Rhythm was the standard piano, bass and drums, with additional percussion added. 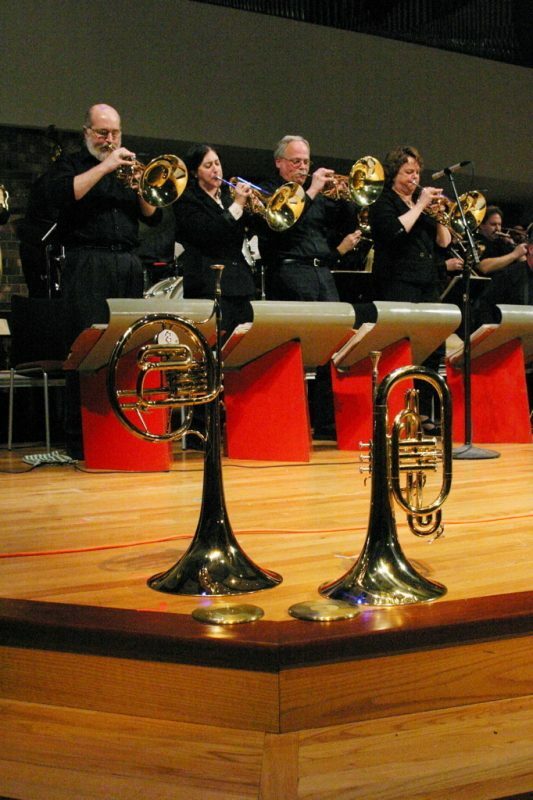 The added brass can make life “a little easier” for the orchestra’s trumpets and trombones because the Mellophoniums receive some parts the other brass would otherwise play while the workload of the sax section is “pretty much unchanged with the addition of the Mellophoniums,” says Kaye. The sax section supports the Mellophoniums as they support trumpets and trombones. It’s hard work to organize a performance by a 23-member Mellophonium band. The band must have exact risers for the performance. If the venue doesn’t have them Rand Moore has to transport them. Lights and music stands are required. 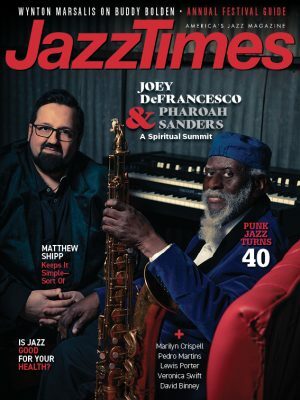 As for paying the musicians, “The players do get paid when there is enough money.” The economics of big band music suggest those paydays won’t cause the players to give up their day jobs. Because Moore feels “some kind of responsibility” and Kaye still pursues “the inherent power of music,” jazz fans in southern Wisconsin have been very fortunate. What does the future hold? Kaye is writing new charts for songs that didn’t make it into Kenton’s West Side Story. There have been discussions with a ballet company about performing West Side Story‘s music throughout the region. It can be an emotionally moving “musical experience of huge import,” Moore says. The music remains alive.